on our Clean & Protect Service. 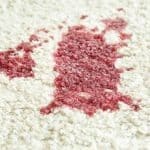 Get a ‘Spring Fresh’ new start and let us clean and restore your Carpets, Rugs and Furniture to ‘as new’ for a fraction of the cost of replacing them. For a Cleaner, Fresher & Healthier Home, just call us now! Have any combination of Carpets, Rugs and Upholstery Cleaned & Protected and every third item will be Cleaned & Protected FREE of charge. Cutting the price but not the standard! We may be cutting the price but you have my absolute assurance that we will not be cutting back on our high standards. ALL our work is fully guaranteed, if you’re not completely satisfied we will put it right or refund your money, NO QUIBBLE! The free item is the smallest or lowest priced items. Hall, Stairs & landing count as one item. This offer is available to our residential clients only and obviously no other discounts apply. This offer is only available for on work booked before 31st March 2014. So don’t miss out! Call us NOW! Clean more and SAVE MORE!